Trekking to Tiji Festival can be done during the months of May-June in the Forbidden Kingdom of Mustang, Tiji Festival of Lo-Manthang is one of the most important and colorful three day's rituals known as "The Chasing of the Demons" centering on the Tiji myth. Tiji tells the story of a deity named Dorje Jono who must battle against a demon to save the Kingdom of Mustang from destruction. The demon wreaks havoc on Mustang by creating a water shortage which, in this extremely arid land, is the most precious life-sustaining resource. Dorje Jono defeats the demon and banishes him from the land. 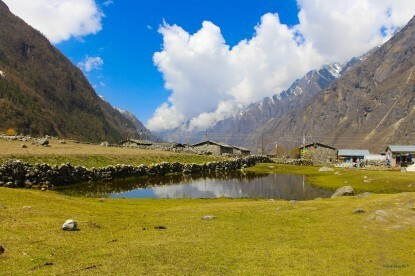 Because of this myth, Mustang is considered a legendary destination. 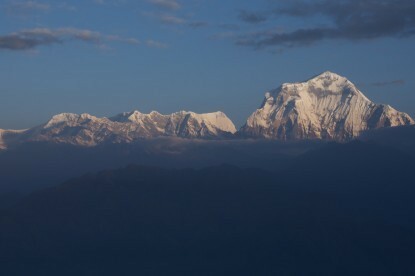 Drive to Pokhara by bus - 8h or fly - 35 minutes. 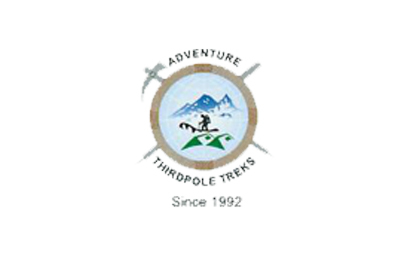 Fly from Pokhara to Jomsom (2730m) - 30 minutes and commence trek to Kagbeni (2850m) - 3h. Kagbeni - Chele (3100m) - 7h. Chele - Ghilling (3700m) - 7h. Ghilling - Tsarang (3600m) - 5h. Tsarang - Lo-Manthang (3840m) - 5h. Observe Tiji Festival in Lo-Manthang. Lo-Manthang - Ghami (3500m) - 7h. Ghami - Samar (3600m) - 7h. Samar - Tetang (3050m) - 3h. Tetang - Muktinath (3760m) via Ghyu-la Pass (4100m) - 6h. 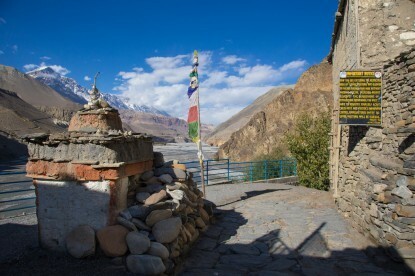 Muktinath - Jomsom - 5h.